These extraterrestrial themed earrings feature french style hooks and charms with a cute alien in a UFO. The UFO is inscribed with the phrase "I Want To Believe" . This extraterrestrial themed necklace features a charm with a cute alien in a UFO on a 16 Inch long chain. The UFO is inscribed with the phrase "I Want To Believe" . 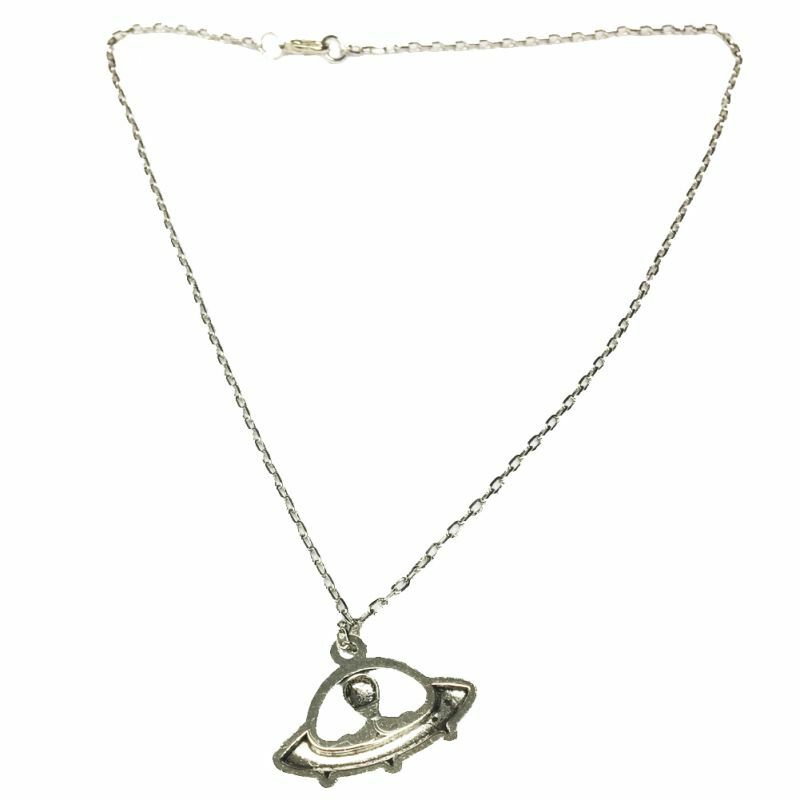 It makes for a stylish and cool looking necklace, perfect for daily wear for any believer to show off at comic con. 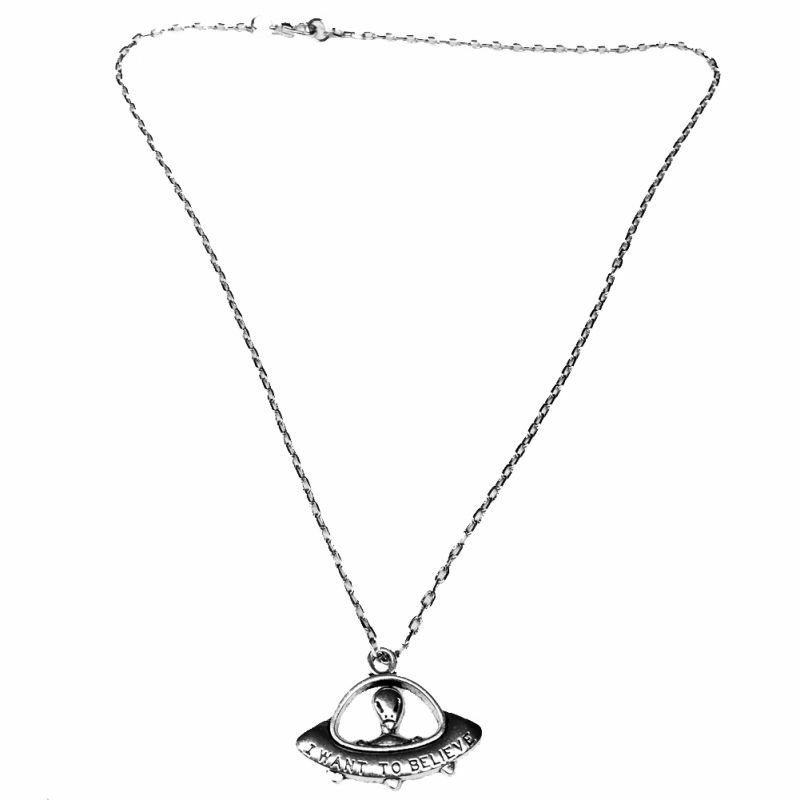 Popular with fans of aliens, the x files, mulder, scully, conspiracy theorists and believers. Disclaimer: This item is a work of fiction. Names, characters, places and incidents are used fictitiously. Any resemblance to actual names or events or locales or persons, living or dead, is entirely coincidental.